The Chelsea coach was dismissed from the touchline by referee Neil Swarbrick moments before the interval after furiously protesting the award of a Swansea goal kick. The Italian at first sat behind the dugout, but then had to move due to the proximity of his new seat to his coaching staff. On the field, Antonio Rudiger’s 55th-minute header proved decisive. It was Rudiger’s first Premier League goal. 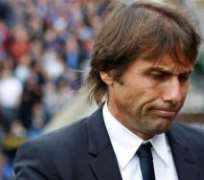 Chelsea owner Roman Abramovich may heed Conte’s calls to strengthen the Chelsea squad in the January transfer window after the Blues struggled to kill off their poor visitors. Chelsea’s only dropped points in their last six league games came at Liverpool last Saturday, while Swansea had a ninth loss of the season. Chelsea stayed third in the Premier League — above London rivals Arsenal and Tottenham — but trails leader Manchester City by 11 points. Swansea is without a goal in four games and stayed last-but-one with nine points from 14 games.